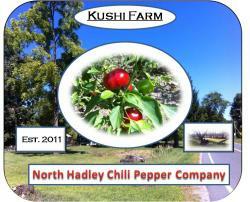 Located in the village of North Hadley in Hadley, MA, Kushi Farm and the North Hadley Chili Pepper Company, LLC are complementary businesses that serve to operate as small, multi-functional agricultural operation that focuses on providing both agricultural goods and agricultural services to the public and for the family. 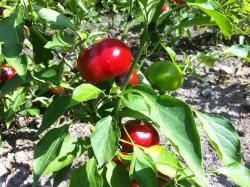 Formed in 2011, formalized in 2014 and created in honor of the original Kushi Farm that operated from 1907-1961, the goods and services offered include vegetable and resource crops with a specialty in hot peppers/hot pepper products (including our Hot Pepper Jelly), private research for innovative growing systems and development for interactive agricultural education exhibits. 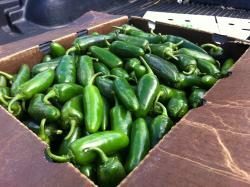 The goals for the farm include producing quality crops and products for the public with a specialty in hot peppers, providing for ourselves, serving as proper stewards of the land and carrying on/spread the legacy of agriculture that is so vital to many. 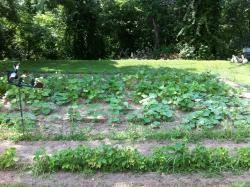 Kushi Farm uses a quality first mentality along with an understanding of agricultural policy and operations to achieve these goals. 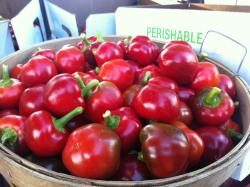 To view more information on the farm, please visit http://www.kushifarm.com. 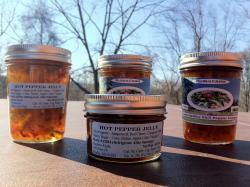 To view more information on the North Hadley Chili Pepper Company, LLC, please visit the farm website or follow the direct link to the farm page on the North Hadley Chili Pepper Company, LLC at http://www.northhadleychilipeppercompany.com.